Star Automations is one of the leading National service provider and suppliers for industrial Automation System. Custom based Embedded Product Development. Robotics Systems upgrade and Maintenance. 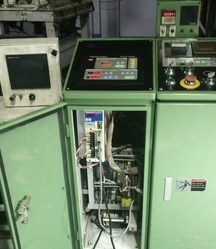 Printing machine control system upgrade. More than 15 years of Repair and Maintenance service experience, we have gained considerable expertise and knowledge in the industrial machinery and equipment servicing and preventative maintenance arena. We are offers preventative maintenance, emergency breakdown, upgrade the systems and after sales support for a wide range of equipment, across a wide various sector of industry. Star Automations is a wide range of services on Electronic circuit board and Electronics drives. Our repair staffed by technical experts have extensive experience with a wide range of OEM equipment, working with state-of-the-art test and repair technologies, and drawing on a large parts inventory. We specialize in the repair of AC & DC drives, VFD, PLCs, scada, dcs, controller, servo drives and wide range industrial automation equipment to the component level with Automatic computerized IC tester. We are the leading independent repairer of AC & DC Servo motors in India. We are the authorized service providers for L&T Yaskawa productsand system integrators for Panasonic and Fuji Electric. We also stock new and refurbished drives from many manufactures. Star Automations offer a wide range of Motion Control products in various technical specifications. The range offered by us includes Motion controller, Industrial pc, Pc based Motion controller, servo drive, servo motor and other advanced motion control products our range caters to the requirements of various industries. We have a team of experienced engineers from different industries to provide servo system Programming for new system installations, upgrades to existing servo controls and complete industrial retrofits. We are Upgrades New series servo drives & servo motors and Exchange your old servo drive and motor. Star Automations is a global repair and services company offering custom design and manufacturing of Machine automation for electrical, electronic and communication control panels and ,PLC programming, HMI programming, CADA, DCS programming, servo programming ,Automation integration . If your Machine controller or PLC is obsolete or not support OEM? We Upgrades New series PLC or controller and Exchange your old PLC with warranty. If you are looking for PLC Controller, please contact us. 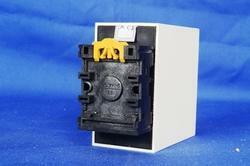 We will do our best to help you find the Delta PLC that you are looking for at the most competitive prices possible. We can provide Third Party repair and maintenace Services all over the world. Star Automations is a leading sales and service support company for complete Industrial automation service. Industrial Automation Services and support is our core business. We have a team of experienced engineers from different industries to provide industrial automation services and system Programming for new system installations, upgrades to existing automation controls and complete industrial retrofits. Our major export countries are: Singapore, Saudi Arabia, Bahrain, Kuwait, Dubai, Oman, Qatar, Abu Dhabi, Egypt, Sri Lanka, Bangladesh, Nepal, Thailand, Indonesia, Africa, USA and UK. Star Automations is a leading sales and solutions support company for Process Automation . Industrial Automation Services and support is our core business. Our major export countries are: Singapore, Saudi Arabia,Bahrain, Kuwait, Dubai,Oman, Qatar, Abu Dhabi, Egypt, Sri Lanka, Bangladesh, Nepal, Thailand, Indonesia, Africa, USA and UK. Star Automations Provides complete solutions for motor drives, motion and control type of industrial automation products. We supply and support flowing communication boards, converters, gateways, device servers, and switches. 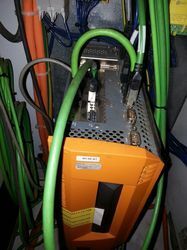 USB Converters, Serial to Ethernet and Modbus RTU to Modbus TCP Converters , RS-232/422/485 Conversion Devices , Industrial Unmanaged Ethernet Switches , Industrial Managed Ethernet Switches, Industrial Unmanaged Fiber Optic Switches, Industrial Managed Fiber Optic Switches , J1939 to Modbus RTU Converters , CAN Communication Converters , CANbus Communication Boards, BACnet Converters , Modbus Converters , DeviceNet Gateway , Profibus Gateway, Remote Maintenance Devices , Ethernet Communication Devices - Master/Slave communication module , Remote I/O communication module and PROFIBUS Communication Devices . Our Major Service and support countries are: Saudi Arabia, Bahrain, Dubai, Kuwait, Oman, Qatar, Abu Dhabi, Egypt, Sri Lanka, Bangladesh, Nepal, Singapore, Thailand, Indonesia, Africa, German, France, Nederland, USA and UK. 1. Compact design for space saving. 2. High quality cylinders & valves for trouble free operation. 3. Machine maintenance, testing & production. 4. Genuine parts are used to enhance machine life. 6. Separate pressure adjustable valves are given for high pressure. 7. Low pressure system pressure. 9. 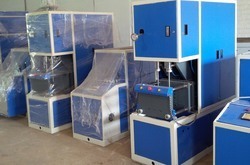 Inbuilt cooling system for neck cooling, mould cooling & oil cooling. 10. One conveyor can be used for blowing machines. 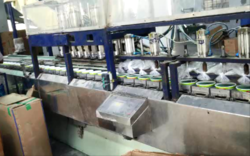 Blow Moulding Machine is apply for Edible Oil, Liquid Detergent, Cosmetic, Pharmaceutical, Food & Beverages. Star Automation is a global services company offering custom design and manufacturing ofIndustrial Automation Systems for various Industry. 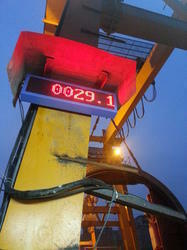 weight, complete connecting wires, buzzer and cut off system. HS series industrial wireless control system can be widely used in lifting machinery, cranes, conveyors, CNC machine tools & concrete pumps. We are specialist in the areas of component level repair , trouble shooting ,up-gradation and retrofit in marine electrical ,electronics and automation equipments. Navigation system ,Communication equipment ,Deck products ,Generator Control System ,Radar, Automatic pilot , GPS , Integrate system, AIS, Electronics Maritime map , Gyro-Compass ,Urgent power Control Box and Engine Remote Control System . Looking for Industrial Automation Systems ?